OMG! By now I am sure you have heard the news about the New Credit Karma Tax! For those who have, I know you are just as excited as I am to see Credit Karma Tax help many consumers when it launches. For those who haven’t heard of the new Credit Karma Tax, you are in for a real treat! Everyone knows that Credit Karma offers free credit scores and reports but this is the first time a platform that big is offering a Tax Service for free! Let me explain the 3 reasons why everyone will be using the New Credit Karma Tax……including you. 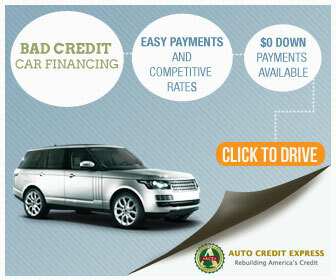 You can always use whatever you want but this process is 100% free and there are no hidden fees to file or print. Some companies start off by saying that they are free and over time, you start getting fees added to the process towards the end. Like most people, you don’t want to start the process over, so what do you do? You pay the small fee or fees and move on with your day. With Credit Karma Tax, you don’t have to worry about that at all. With over 60 million Americans using Credit Karma already, it has slowly become a household name. It’s pretty rare that I speak with a client or potential client that is looking to improve their credit score the right way, and they don’t have a Credit Karma account. Since most people are used to using it daily, weekly, and monthly, it will be an easy process. Think about it. When you are doing your taxes, especially when if you are working with someone who you have never met, your personal information is out in the open. With Credit Karma Tax, the company already has 75% of your financial information and all you have to do is fill out the few lines needed to help you E-File your taxes. This is huge as Credit Karma Tax has already gotten the approval from the IRS and the E-File goes straight through the normal process as if you were on the IRS site already. We all know that person that “does taxes” but we are not sure how legitimate they are or where our information can end up. Credit Karma Tax has met all security requirements with all State and Federal guidelines and procedures. With taxes, most people will be filing a 1040EZ or similar but with Credit Karma Tax, they have almost every tax form imaginable. This is very helpful especially with Sole Proprietors, LLC’s, self employed, joint or separate filings, and etc. The forms that they don’t have fall into the rare categories of separate filings but married in common law states, foreign earned income, 1040NR for non-residents of the US, and etc. Don’t worry, for the most part, it has everything. By now, I’m sure you want to know the official launch date. If you already have an account with Credit Karma, simply login or create an account and look at the top right of the page and you will see the “Reserve My Spot” button and you will be notified once everything goes live early January. Below are the FAQ’s copied directly from the Credit Karma Tax FAQ page. Why are you launching Credit Karma TaxTM? We believe that filing your taxes should be free — just like accessing your credit information. We’re focused on helping our members save money, and free tax filing puts money back in your pocket. Plus, it can help us become even better at assisting you with your finances. See what our founder and CEO, Ken Lin, has to say about Credit Karma Tax on our blog. How can you afford to offer Credit Karma Tax for free? Our mission is to make financial progress possible for everyone. By understanding your credit and your taxes, Credit Karma can better assist you with your finances. We can monitor your finances, help you make good financial decisions and suggest better credit cards, loans and insurance products. If you like a recommendation and get approved for a product through Credit Karma, we usually get paid. We work hard to make suggestions that we think are right for you, but you’re never obligated to take our recommendations. We think this is a far better way to make money than having you pay for our service. How does Credit Karma Tax compare against other free products? When we say “free,” we don’t mean free trial or free to start. We mean 100% free from start to finish for everyone. Credit Karma Tax is an easy tax solution for both federal and state returns. There’s no income limit, no expiration date, no upsells and no hidden fees. How does Credit Karma Tax protect my information? Security is a top priority, which is why over 60 million members trust Credit Karma with their credit information. Who is eligible to file using Credit Karma Tax? Most of you should be able to use Credit Karma Tax. Whether you’re a 1040EZ, 1040A or 1040 filer, we’ve got you covered. For a complete list of forms we support, click here. Our easy interview form can help you figure out what information you need (or don’t need) to provide. Yes, we do! You can file single or joint returns through Credit Karma Tax. What if I don’t want to or can’t e-file? You can still complete your tax return on Credit Karma Tax. Once you’ve finished your return, you’ll have the option to e-file it or print and mail it. Either way, it’s 100% free. Can I use Credit Karma Tax if I’m not a U.S. resident? Our service is available to U.S. residents who are 18 or older (including resident aliens filing a 1040). We don’t currently support 1040NR for nonresident aliens. Our tax service is available once you sign up for Credit Karma. 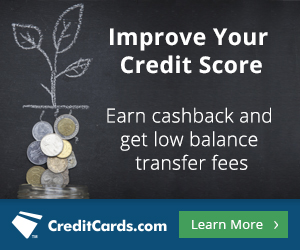 Just like Credit Karma Tax, Credit Karma is 100% free, and you get access to your credit scores and reports, plus credit monitoring, insights and recommendations. 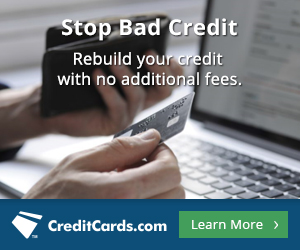 Sign up for Credit Karma. Yes. You’ll be able to access your return on our website and print or save it for your records. We’ll start rolling it out in January. Add your name to the list, and we’ll let you know when you can start filing with Credit Karma Tax. Check back here for more details as it gets closer. When are my 2016 taxes due? You get a few extra days from the IRS this year! Your 2016 federal tax return is due on April 18, 2017, unless you file for an extension. We don’t support importing tax returns this year, but entering your information on Credit Karma Tax is easy. We walk you through the forms, so you know where to enter your information. Credit Karma Tax is an online service and not available for download. We save your information as you go, so you can leave and come back at any time. This year, Credit Karma Tax is only available from your computer’s web browser. We do not support mobile phones, and Credit Karma Tax is not part of the Credit Karma app on Android and iOS. What if I have additional questions while I’m using Credit Karma Tax? You’ll be able to reach us through email or chat. If you have a complicated issue, we’ll give you a call. Just keep in mind that we aren’t tax advisors, so we won’t be able to give you personal or legal advice on your taxes.